Don't spend enough time on the internet? Yeah, me neither. 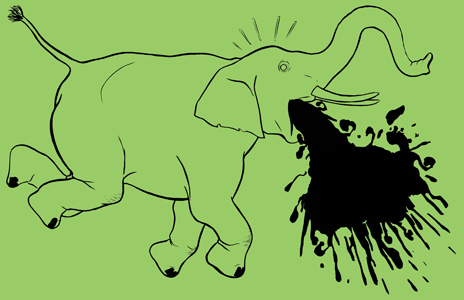 Pass a few minutes perusing some curious, albeit entertaining, randomness on elephantastic, a brand spanking new blog. Yes, yes, exactly what the world needs now... in this case it's true. It probably won't change your life, but you might muster a chuckle, and when is that ever bad. I would be remiss if I failed to mention this is my friend Richard's AND he was so gracious to allow me to add my ridiculous two cents to it. I am a www addict so it seems, and he the enabler. Skip my stuff, read Basin and Ali.